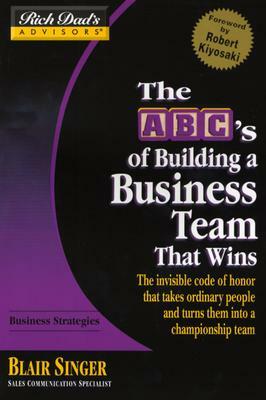 Developing the “code of honor” for the team is the essence of the book. A team must first establish first the code of honor, by which the team will operate. This is like a ground rules that sets the tone for the team. The author stresses the importance of having the team members develop the code themselves so they can abide by. A good set of code of honor will keep the team going at a time of crisis, much like the marines have been trained to support one another during combat. A reasonable good book with good examples but did not go into details about building each function of the business team. The message is very simple; I guess the function/expertise is not as important as the cohesiveness and dynamic of a team. The audio book was narrated by the author himself. He’s a natural salesman; he delivers the message with force and conviction. I don’t think you would get as much reading the book. Daniel Pecan Cambridge, the narrator and main character in this novel, is a rather interesting person, walks a fine line between being a paranoid and a genius – a bit autistic with lots of idiosyncrasies, some mathematic talent and a very good heart. The book chronicles the journey of a man going from a hopeless man not capable of going outside and dependent on an intern psychiatric help, to a fully functional man enjoying a good career and a lovely partner (wife). The journey involved his admiration for his intern psychologist and her child – Teddy. The breakthrough happened during his adventure with his psychologist and Teddy to Texas, his hometown, where his grandma passed on a great deal of money to him. After this adventure, he rediscovered that he was able to overcome the constraints he sets upon himself and took significant risk and courage, which won him the girl that he has been secretly admiring – all because of his good heart towards others and innocence. This novel has so much of the “wild and crazy” guy – the pubic persona of Steve Martin, himself. What stood up for me is how purely and innocent he interpreted the world around him, like through the lens of a child. One cannot help feeling sorry for him when he was rejected by so many women (the psychologist, the real estate lady) and cheering for him when he finally became “normal” and won the heart of the woman who’s most deserving of his affection. Before reading this book, I had only heard of Sidney Poitier as a black actor that open a lot of doors for black actors who followed. He appears to be an intense guy, though I never saw his movies before. (I have queued up a bunch of his movies on my Netflix account.) He is a good looking guy with a good voice; I could see the great acting attributes in him. After reading this book, I found him a very good critic of himself – able to look at things from a very high level – the God’s (nature’s) view. He is also very non-judgmental, despite all the difficulties he encountered. He carried with him great pride and integrity, instilled in him by his parents, as part of the upbringing in Cat Island, Bahamas. His unwillingness to sign the “loyalty” letter (due to the racism nature) at the risk of not getting a job and being poor showed his great courage and integrity. He also took a lot of risks while trying to survive, like moving out of Bahamas to Florida, and then from Florida to New York. He seemed to have the vision on what he’s capable of becoming – someone great. When the environment turned against him, like in Florida, he was willing and proactive enough to make a change instead of being a victim, not allowing the circumstances to dictate what he can become. This showed a great deal of courage and tenacity. 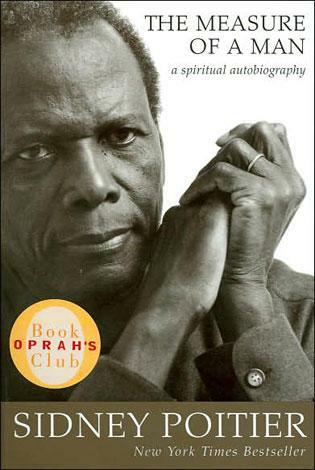 Poitier’s main legacy, according to him, was his six daughters, who he mentioned only briefly. His troubled daughter, at the end, also showed a lot of Poitier in her by going back to school and getting a degree after being “lost.” Poitier showed a great commitment to his family. I’m certain some of the black actors would give him a lot more credit than that. Not succumbing to the degrading treatment of blacks in the film industry definitely set the tone for the future generation and kick-started the careers of some black actors that followed. It’s a dirty little secret in the retail industry that lots of those items hanging around the check out register isle are often high margin items, i.e. relatively low cost with large mark up. The retailer makes lots of money from those merchandises because they tend to be low-price that people often buy on impulse, e.g. gums, magazines, candies, and batteries. Among all those things, I believe batteries are among the most “obscenely” priced. A typical name-brand (Duracell or Energizer) AA battery can cost as much as $1/each. And sometimes the AAA (smaller) battery can cost more, though they pack less power. Even when you buy them on sale, they can cost as much as $0.40 or even more. The fact is that you can easily stock up on generic brand batteries like Ultrablast and save lots of money. As long as they are Alkaline batteries, they last about the same time, according to Consumer Report and my experience. Even if they don’t last as long, you end up saving big money anyway. For example, I bought 2 cases (quantity of 100) of Ultralast AA batteries at Fry’s during a sale last year that cost me only $0.10/each. Just compare to the name brand that costs 4x or more but don’t last 4x longer. Even at $0.20/each, the regular price at Fry’s, they are still a good deal. For AAA batteries, you may want to go to eBay and buy them from the wholesaler by searching for “AAA wholesale.” Because AAA batteries are light weight (low shipment cost), they often are a good deal when shipment cost are included provided you buy them from the wholesaler. My recent eBay search turned up $0.16/ea at lot of 100 and $0.11/ea at lot of 300. Of course, you don’t want to buy too many as the stored charge gets depleted through time. But buying enough to last 2 years at one time should be just fine. I usually buy a batchof 100~200 since I have a toddler, whose toys need to be kept alive with lots of batteries! Sometimes, it’s more cost effective to buy the rechargeable NiMh batteries depending on how long the battery would last. The recent development on NiMh has turned out very high-charged batteries (up to 2900mAH on AA size). A slow-drain remote control or small-size MP3 player may work better with Alkaline batteries, because it drains the batteries very slowly and you don’t need to contend with the self-discharge of the rechargeable batteries that require frequent re-charges, which is a nuisance and may not be too cost effective if you cannot and don’t plan to use the NiMh more than 20 times within 3 years, because of NiMh costs roughly 20x ~ 40x of an Alkaline battery and they usually don’t last more than 3~5 years, retaining less charge after each re-charge. I’ll have a separate tip on NiMh later. DigiCam battery tester. This thing will pay for itself within a year, allowing you to keep the good batteries and discard the bad ones. The beauty of this thing is that it’s a no brainer and it tells you what you need to know right away: 0% (dead), 20%, 40%, 60%, 80% or 100% charged. Also, please make sure the dead batteries are recycled. They’re not easily digestible by our landfills due to its toxic contents. Most garbage companies would gladly take them back on a separate bag during garbage collection. I keep a bone pile of dead batteries in a drawer and recycle them when it’s full. It’s good for the environment and gives you a sense of accomplishment (due to the saving). So my money saving tip: Stock up on Alkaline batteries and save!